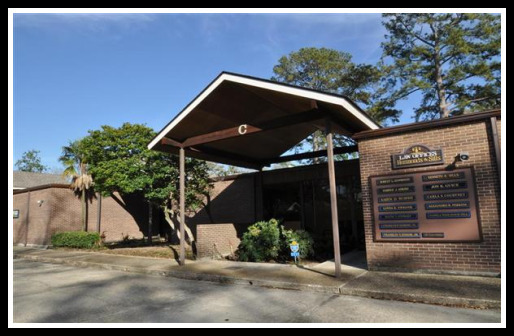 1111 South Foster Drive is conveniently located in Baton Rouge's popular Mid-City district. Office suites feature 1510 - 1950 square feet of space in a flat floor plan. Each suite features two restrooms, a storage room, and a break room equipped with a sink, refrigerator, counter & cabinet space. Central air and heat and insulated roofing keeps our offices comfortable year-round. Rent includes janitorial service three nights per week, water, sewer and trash services, pest control, and appliance and mechanical maintenance. For more information, please call our office at 225-927-1982. *Updated & Available March 22: 1510 sf @ $1712 per month: Reception, 4 Offices, 2 Restrooms, Kitchenette & Storage, with a 12 month lease. Call us for details! The deposit on each suite is 1 month's rent. The lease is 12 months.